Yes I was a control engineer once upon a time. I looked after control systems in chemical factories. There were hundreds of controllers regulating temperature, pressure, flow, level and chemistry. A few weeks a go I delivered my daughter and her stuff, to a shared house in London. I adjusted nearly all the settings of their hot water and central heating system. Here are my tips for anyone setting their system for the onset of autumn and winter. This is about a central heating system with a gas fired boiler heating water in an immersion tank and pumped radiators. This heats the water which circulates through the immersion tank and the radiators. 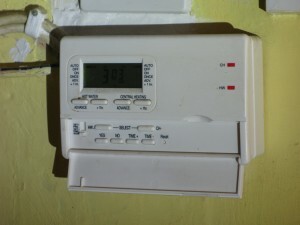 There is generally only one control on the boiler, the water temperature thermostat. 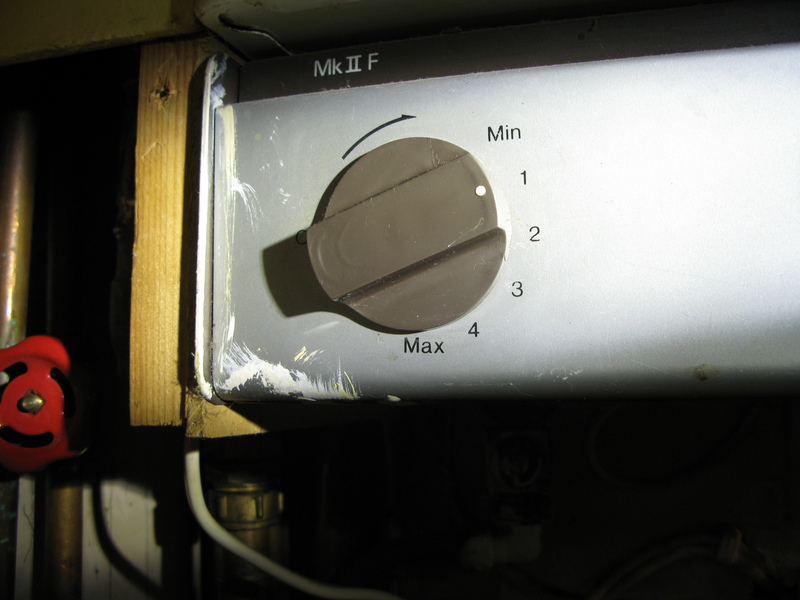 On older boilers, there are no temperature scales on the knob, newer ones may have a temperature set point and display the actual temperature. The target will be something between 60-70 deg C. When the central heating is on this controls the temperature of the water arriving at the radiators. On this knob (Min 1 2 3 4 Max) a setting of two is enough in the summer, spring and autumn. It was set to 4. More than this and the radiators can be too hot to touch. As it gets colder outside, you may need to raise this, so the radiators can get enough heat into the rooms. This circulates the water through the immersion tank, radiators and back to the boiler. It normally has a speed control switch on it with three settings: Slow, medium and fast. You can also equate these to: Quiet, Noisy and Very Noisy. Again 1 is probably enough. It was at 3! If the setting is too fast, the water will go through the immersion heater and radiators too fast to release its heat. The water returning to the boiler will have a closer temperature to that exiting the boiler. The boiler is more efficient heating cooler water. Hot gas heating hot water means hot gas exits the exhaust pipe. You want that heat to go into your water to the outside of your house. Again as it gets colder outside or if it takes too long to heat the immersion tank and rooms raise the speed one level. This controls the temperature of the water in your hot taps. Too hot and you will scold yourself or a guest. Too cool and you will have cold baths and showers and even scarier legionella. 60 deg C is recommended. A setting of 80 deg C is dangerous! Raising this setting will not heat the immersion tank up quicker. The one on the wall somewhere. 21 deg C is a normal setting but getting it down to 18 deg C will save you money. Raising the setting will not heat the house quicker. It’s an off switch when it gets to temperature it tells the system to stop sending hot water to the radiators. When the temperature in the room cools by a degree it will start pumping hot water around the radiators. It is probably near the pump. A valve with a box on the top. There might be two off them. If there is only one you may have this situation. 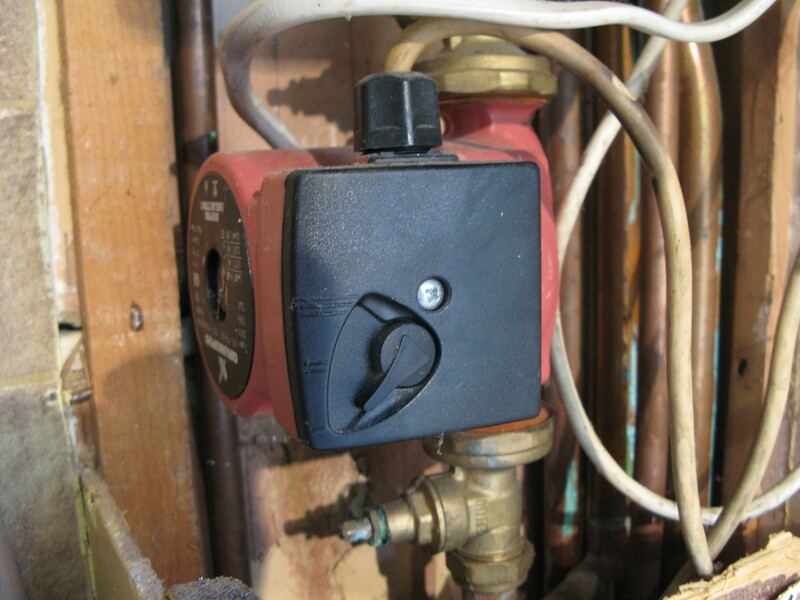 The valve lets hot water from the pump flow to the immersion heater or the radiators but not both at the same time. In my system the controller heats the hot water first and then the radiators. So you could have to wait approximately 30 minutes if the hot water tank is cold before the radiators come on. If you have two valves, the central heating and hot water can be operated separately but the system controller may still prefer to heat the hot water first. You could have full control over the central heating and separately the hot water going on and off three times a day with different settings for the weekend. Consult your manual. If you have system which heats the hot water first, you will need that to start the hot water heating approximately 30 minutes before the time you require the radiators to heat up. The hot water may have to remain on until the central heating is turned off i.e both have to have the same time settings. 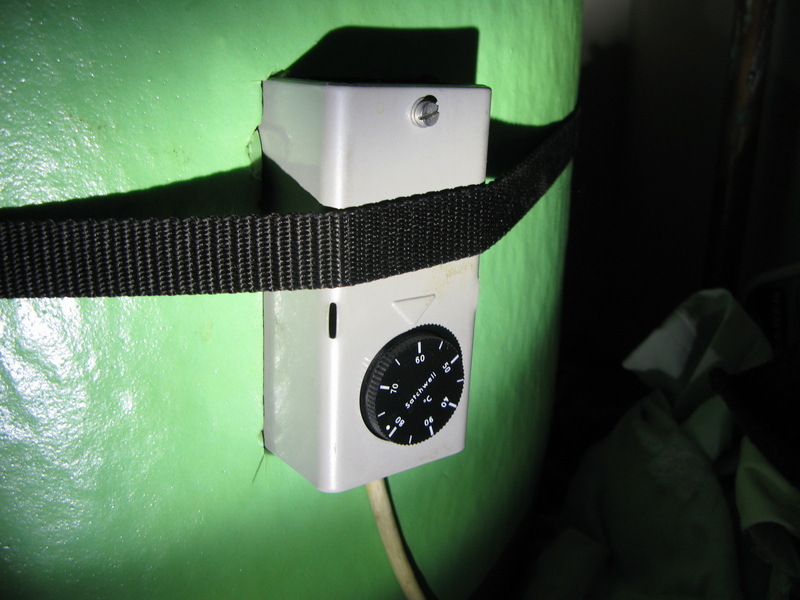 It may be better for the hot water to be heated before you go to sleep (a well insulated tank will help), than have the system come on 30 minutes before the time you really want to wake up. You don’t want the timer to switch off as you leave the house in the morning, it can switch off 20-30 minutes before. Similarly before you go to bed. If you want to come home to a warm house, set the central heating to start 30-45 minutes before your return. If you have a three time period controller, use the middle period to take the chill off the house for when you return and then switch off. During the early evening you will be more active than later. Set the final period for when you settle down on the sofa. Stuff central heating, process. permalink. Visit all your radiators. Open the right hand valve fully and then close I half a turn to stop it getting stuck. Close the left hand valve and open it two turns. With the central heating on for 15 minutes go round the radiators again. For radiators that are hotter than the others close the left hand valve half a turn. For those that are colder open half turn. Keep repeating the process until all radiators are about the same temperature. 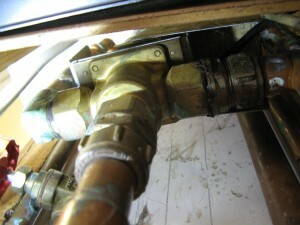 If you have thermostatic valves, open the other valve fully and close half a turn. Set the thermostat to 3 or 18 degC. i have never been able to get thermostates to click on lower than 22 or 25 degrees. its as though they are preset what can i do? 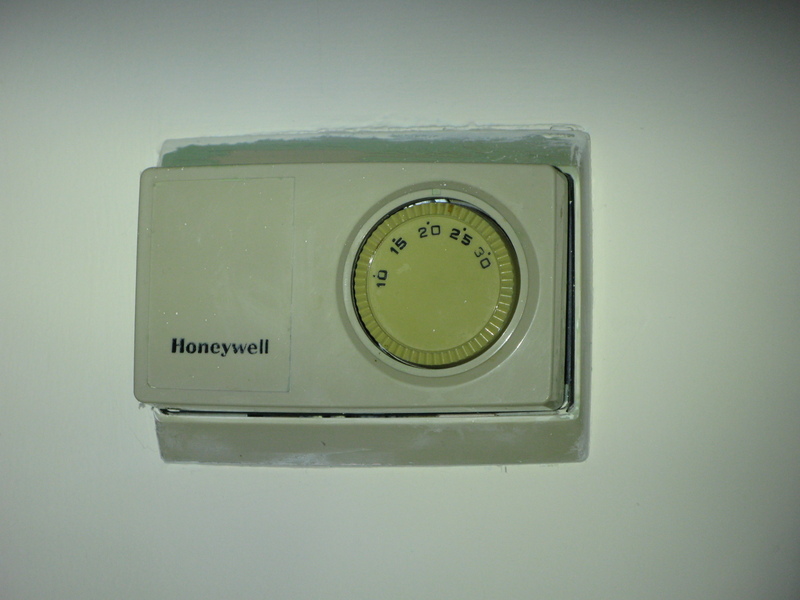 If it is similar to the room thermostat shown, there may be some stops inside the cover. Isolate the electrical supply, take the cover off and adjust the stops. I found this an excellent article which clearly explained the workings of the components in a hot water/central heating system. 1. Having fitted a new circulating pump I note that the radiators heat quicker now and the room thermostat shuts off the system sooner than before. I could turn down the pump speed (max at the moment) but then the radiators would not heat up so quickly and the thermostat would shut off later. 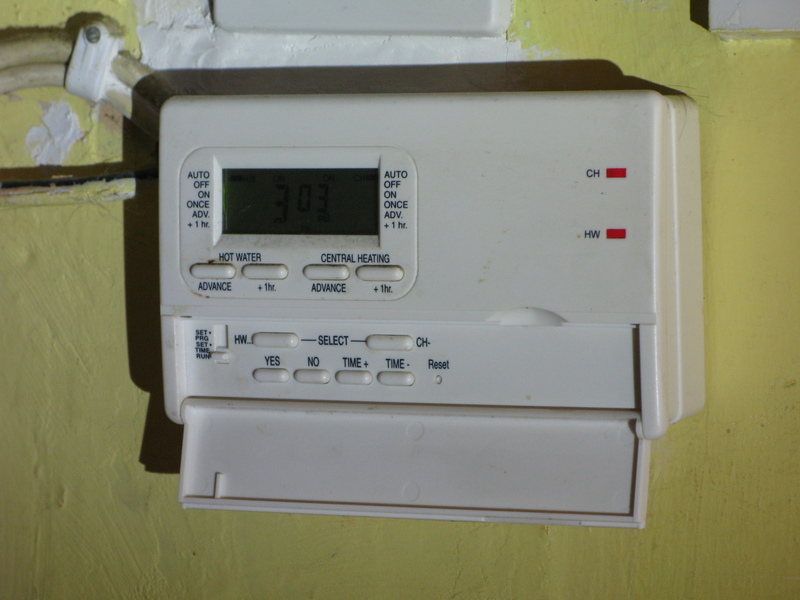 There is a tradeoff – save some pump electricity or save some heating gas? 2 The room thermostat is a newish Honeywell unit DT90E. It’s not just a simple on or off as it has extra adjustment parameters.such as ‘minimum on off time’, ‘Cycle rate’, ‘Proportional band width’, ‘temperature offset’, and some others. I understand that these adjustments make it more ‘intelligent’ and save energy by stopping the system continuously switching on and off around the desired set temperature. Do you have any advice/experience if these parameters are any use? 1. I would turn down the pump speed. It will last longer and be quieter. Turn up the speed only if heating up times are too long when it’s very cold outside. Minimum on/off time Keep as high possible. It will be too high when room temperature drops too much between cycles. Turning on and off too often gives you the annoying start up noises too often. Cycle Rate: don’t know what that means. Proportional Band Width: as the difference between desired temp and actual decreases the amount of heat applied reduces proportionately. Too high a setting and you overshoot the desired temp. Too low and you never get there.